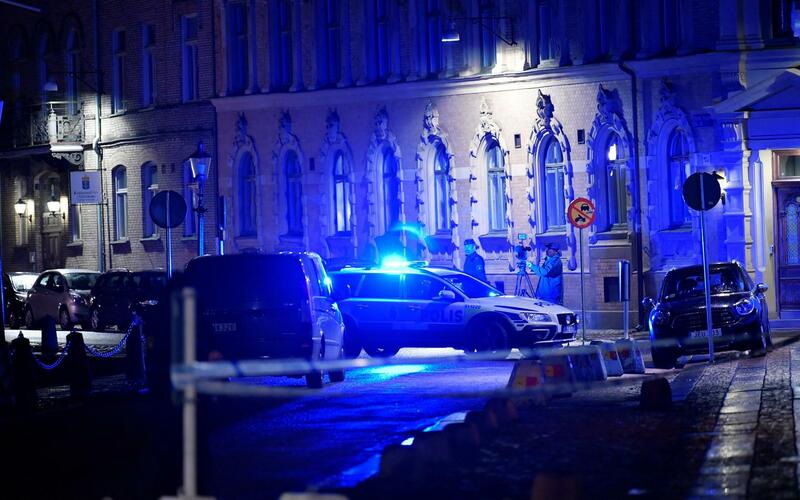 A synagogue in Sweden's Gothenburg was attacked last year. The murder has shocked France and its Jewish community. Francis Kalifat, president of the country’s Jewish umbrella organization Crif, expressed his anger and concern about “such barbarity in France in 2018.” Mireille Knoll is not alone: eleven other Jews have been killed by radicalized Muslims since 2006 in France, home to Europe’s largest Jewish community. Her death is not an isolated incident. A new wave of anti-Semitism is creeping over the European continent. An increasing number of Jews living in the country say they no longer feel safe. They partly blame Warsaw’s “anti-Holocaust law.” A survey conducted by Pew Research Center in 2015-16 showed that almost one-in-five Poles would not be willing to accept Jews as citizens of their country. In the north of the continent, in Sweden’s second-largest city of Gothenburg, a synagogue was attacked with a Molotov cocktail in December. In Southern Europe, an Italian football club got fined after supporters displayed anti-Semitic Anne Frank stickers in last October. Violent anti-Semitic incidents dropped about 9 percent worldwide last year, however, the remaining incidents are much more violent than in the past and cause more harm, according to a report released last month by Tel Aviv University’s Kantor Center. Moreover, “this decrease is overshadowed by what is seen by the Jewish communities as a dramatic increase in all other manifestations,” including harassment in schools and on social media, the report said. Research by the European Union’s Agency for Fundamental Rights released in November showed similar findings, with overall increasing trends in virtually all E.U. member states between 2006 and 2016. However, these trends are notoriously hard to gauge, according to Alex Benjamin of the Brussels-based European Jewish Association, an NGO representing and acting on behalf of Jewish communities across Europe. “Many cases are unreported. Conversely, isolated incidents on social media can be blown up to indicate trends that are in fact not trends at all,” he told The Globe Post. Benjamin continued, saying that anti-Semitism ranges from “polite” critique of Jews and Israel in newspapers but also includes attacks in the streets and on businesses. The unique aspect about anti-Semitism in today’s Europe is that it comes from widely opposing groups that have nothing in common but their hatred for Jews, said Moshe Kantor, president of the European Jewish Congress, the democratically elected representative body of 42 Jewish communities throughout Europe. This can be seen in Germany, where the president of the country’s Central Council of Jews advised the Jewish population not to wear kippahs in big German cities, following an anti-Semitic attack in the capital Berlin mid-April. Kantor said that the rise of anti-Semitism in Europe is manifested in its sharpest form in the west of the continent, “where violent attacks, most notably in France, mean that neither the public nor the private space is safe for Jews anymore.” Tel Aviv University Kantor Center’s report indicated “the prevalent ominous feeling of insecurity among Jews in Europe” as its most disturbing finding. Anti-Semitism is a growing force all over Europe but there are clear differences between the East and the West, according to French sociologist Michel Wieviorka. “In Eastern Europe, it is mainly some sort of reactivation of the classical expressions of hatred and prejudice towards Jews,” he told The Globe Post. This includes persuasions about capital, power, and influence controlled by the Jewish. Wieviorka continued by explaining that anti-Semitism in Western Europe includes the reactivation of classical anti-Semitism as well but is accompanied by other elements. “These elements are mainly found within the recent migration from Arab and Muslim countries,” he said, listing identification to Palestinians and Islamic fundamentalism as catalysts for anti-Semitism. Benjamin from the European Jewish Association argued that a lot of these migrants “are fed from the cradle to the grave with anti-Semitic tropes and a hatred of anything Jewish,” which they then export to their new European home. “Such migration leads to rightist backlash and a rise in anti-immigration feeling from groups that feel that ‘traditional’ Christian values are under threat,” he added. Benjamin called this “febrile mix” a direct contributor to rising anti-Semitism in Europe. The report stated that anti-Semitism is a problem that stems from the majority of the population, not just from minorities. “One focus here is not on the refugees of recent years but on the second- and third-generation offspring of earlier immigrants,” it reads. The research indicated that anti-Semitic crime and harassment are often a result of the revival of the Israeli-Palestinian conflict. Gervase Phillips, Principal Lecturer in History of the Manchester Metropolitan University, agreed. “The wars in the Middle East, and in particular the Israeli-Palestinian conflict, have added a peculiarly toxic dimension to modern anti-Semitism,” he told The Globe Post. Phillips fears that anti-Semitism is embedded in our culture, ingrained in our medieval past. “Jews have been a universal scapegoat for whatever is seen as the ills of society at a given moment. That historic reach is very long,” he said. Both the European Jewish Association and European Jewish Congress indicated education as the first and most important step in preventing and fighting anti-Semitism. According to the latter, there is too much focus on protection rather than the sources of hate and intolerance. Mireille Knoll’s death is a stark reminder to European Jewish communities that anti-Semitism is still manifesting itself in a different yet often violent fashion. Whatever the driving force of anti-Semitism in Europe is, the longest persecuted nation in history still sits on the edge. It’s 2018.